Isolator++ for Linux enables unit testing – the foundation of agile development - of any C/ C++ code (including complex code such as statics, globals and non virtual method) by allowing the test to intercept and fake behaviours. The API is specifically designed to make tests more concise, more resistant to production code changes and easier to understand for new users which ensures that time is not wasted re-writing unit tests. It also protects the code from regression bugs and allows organizations to feel confident that their final product meets industry standards. Isolator++ for Linux enables developers to fake any part of the code seamlessly, without the need to redesign for testability as opposed to other unit testing solutions that require many sections of code to be re-written in order to be testable. It replaces the need for manual validation with automatic C++ unit tests. This ensures full code integrity before the code reaches QA. The launch of Isolator++ for Linux demonstrates Typemock’s ability to now offer multi-platform easy unit testing solutions for both Linux developers in addition to Windows C++ and .NET. This gives organizations the flexibility to implement unit testing practices in any of these development environments. 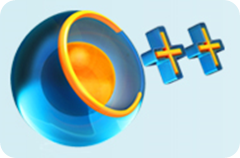 With today’s high demand for smart phones and other advanced technologies the use of C++ is on the rise. Writing correct, secure, code is imperative, especially for the military, avionics, automotive and medical device industries where an error in the code can be critical. Isolator++ for Linux will ensure that the final product surpasses all regulatory requirements.